We are pleased to have you join us in worship. If you would like to join our parish, please complete the information below. Once you've submitted your registration form, someone from the Parish Office will contact you. 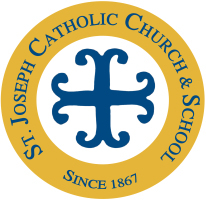 Please make sure to check out more of our website for any information you may need, including Mass times and the weekly bulletin. Welcome and God Bless!